This beautiful set from our leading All Seasons range is a timeless classic. 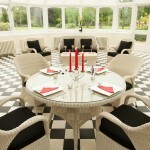 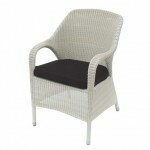 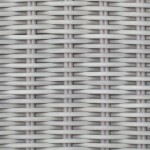 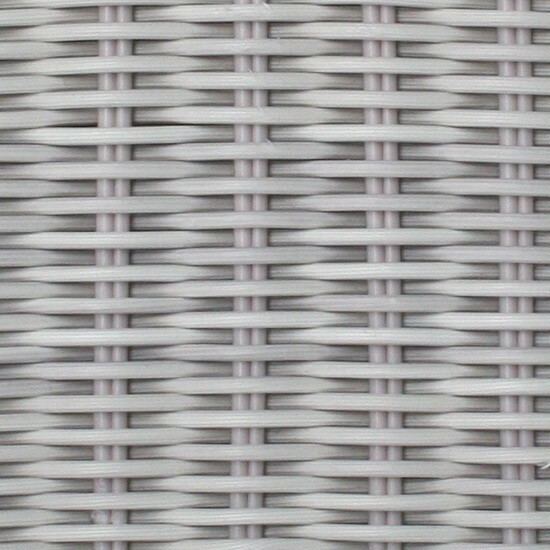 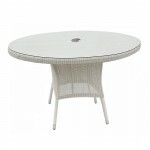 The furniture is hand woven around a durable Aluminium frame using the finest synthetic rattan weave. 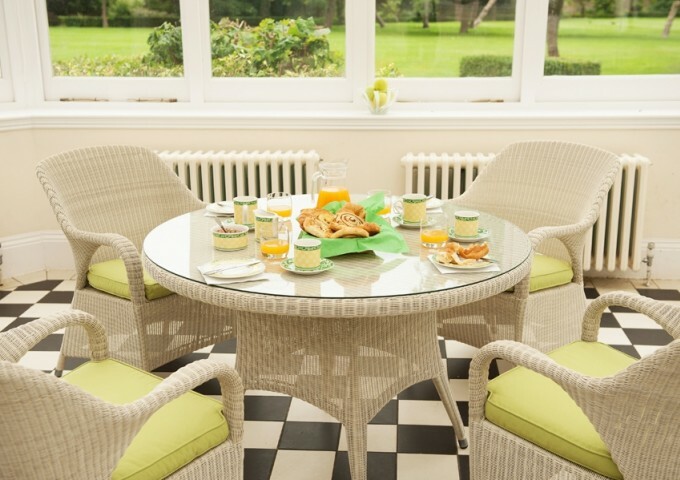 Like all Bridgman rattan collections, this furniture looks as good indoors as it does out, making it the best material to bring the outdoors inside. 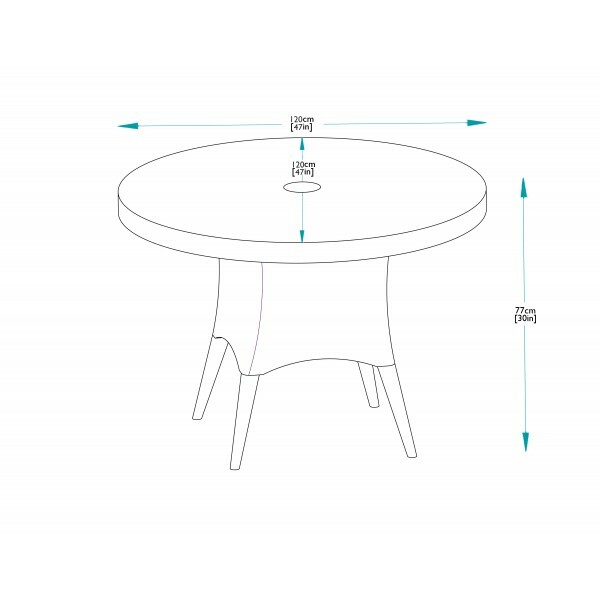 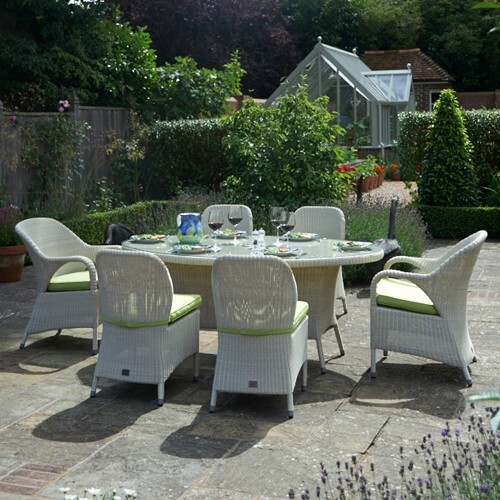 The 120cm round table has ample room to accommodate the four Sussex dining armchairs that are included with this set. 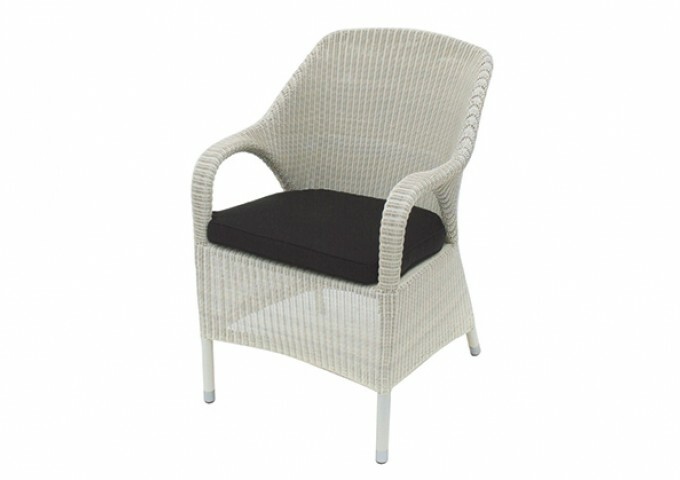 The armchairs are incredibly comfortable and come complete with acrylic cushions in a dramatic Black or fresh Lime Green colour. 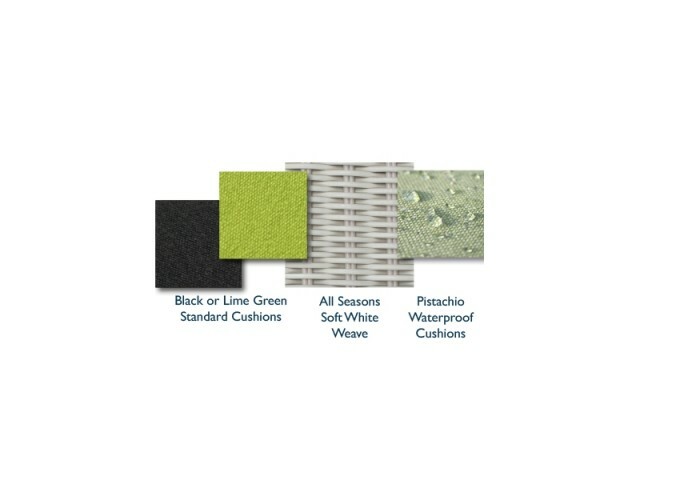 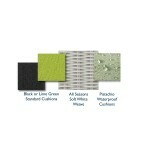 Alternatively upgrade to fully waterproof and stain resistant pistachio cushions. 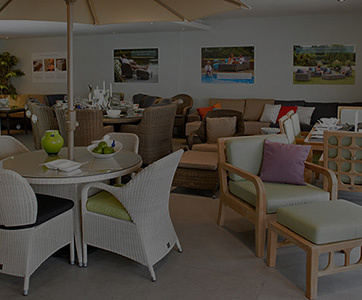 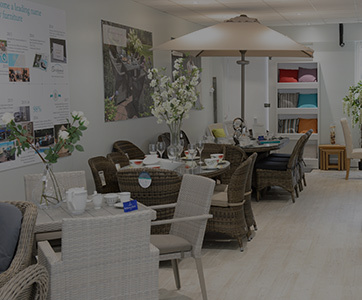 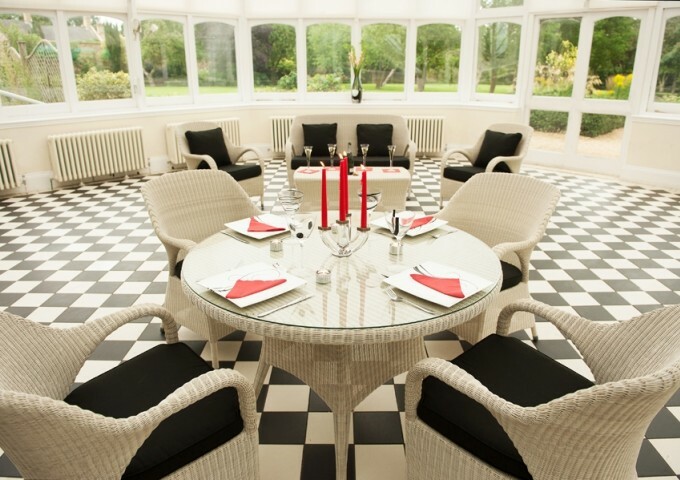 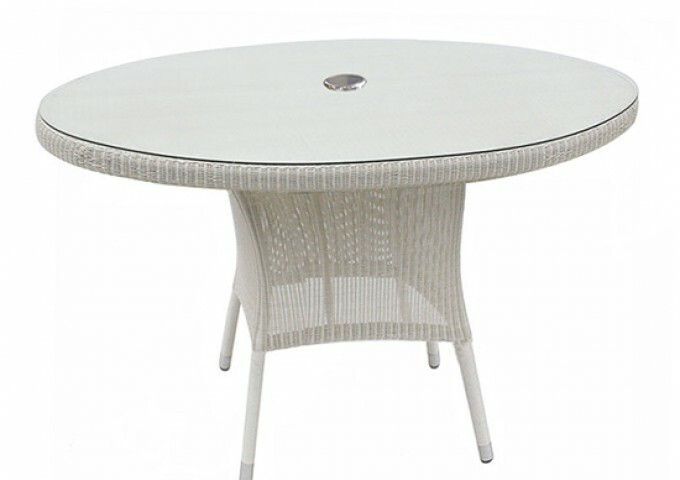 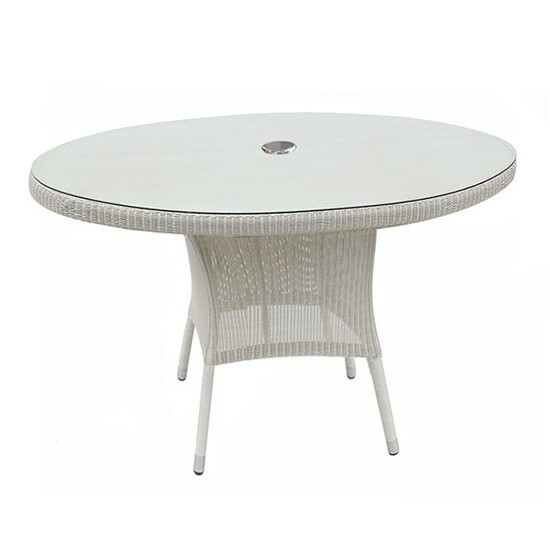 The furniture is constructed with aluminium frames and finished with a durable soft white round rattan wicker that is hard wearing and if used outside, completely weatherproof. 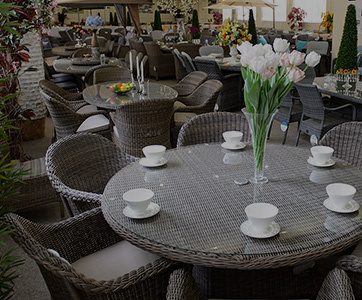 The furniture does not deteriorate in anyway when left outdoors and requires minimal maintenance. 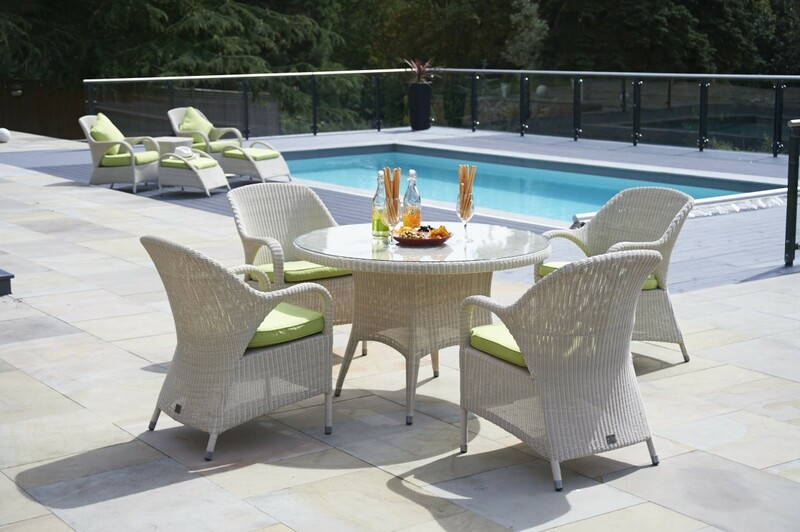 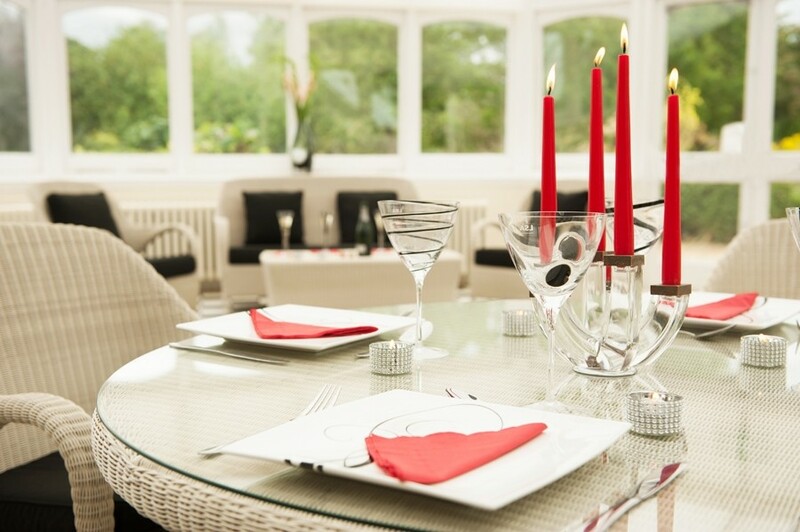 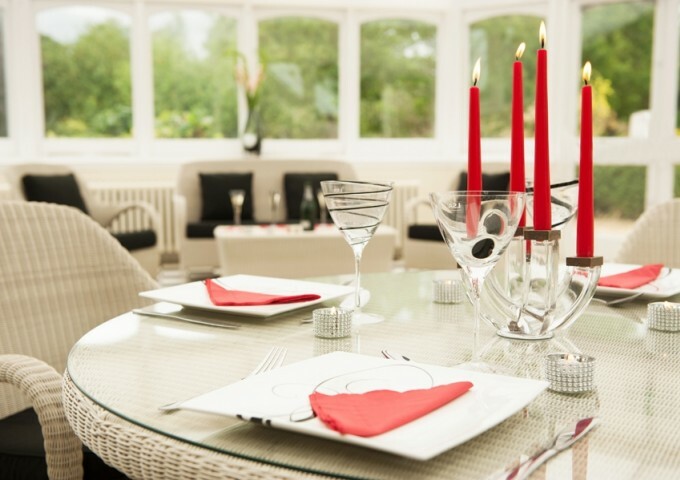 Whilst made to withstand the elements, this attractive set can just as equally be used inside the home. 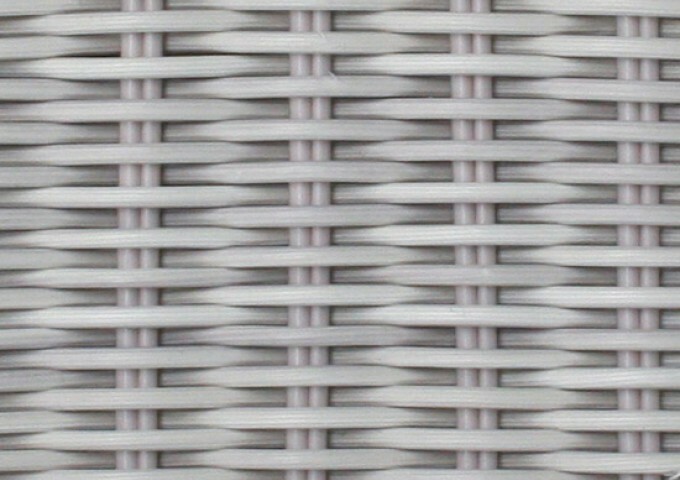 If used outside it is sensible to bring the standard cushions in during wet weather. 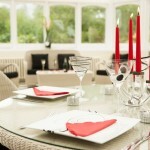 The standard cushion covers are removable for cleaning if ever required. 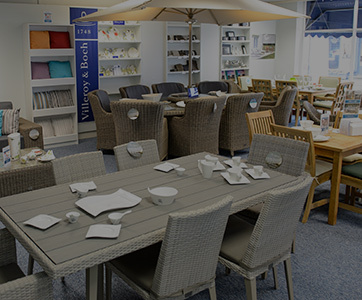 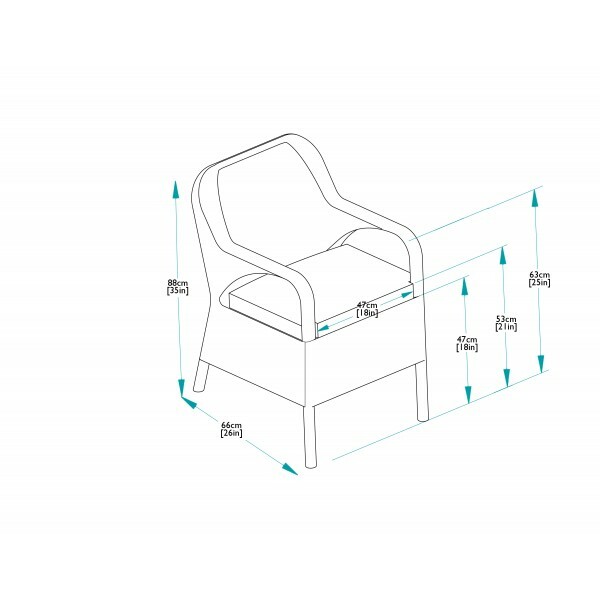 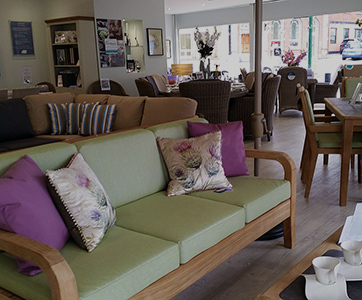 This furniture sets comes with Bridgman's 10 Year Guarantee and at an incredible price too.